Seminar marketing, whether straight to the client or to professional referral sources, is one of the most effective ways to market your estate planning practice. The key is to make sure that you know how to properly plan, market, facilitate and present seminars. That's where we can help with the numerous seminar marketing training, products and resources that have been assembled by one of the most experienced estate planners when it comes to seminar marketing, nationally renowned attorney, Philip Kavesh. If you're thinking about giving seminars, it's important that you know the steps to properly plan and market the seminars to get the biggest return on your investment. Find out the ten key steps to successful seminars in this unique 90-minute presentation. The devil is in the details and it's important that you cover all of the proper steps to facilitating the seminar—including knowing the steps leading up to the day of the seminar, during the seminar, and immediately after the seminar. Whether you're new to public speaking or you're a pro, there's always room for improvement and there are some key techniques that all speakers should follow in order to see a better result—right at the seminar—which will lead to more pre-closed prospects and eventually new clients! Complete turnkey seminar packages—including PowerPoint presentation, script, marketing materials and seminar handouts—used for targeting prospective and existing clients! 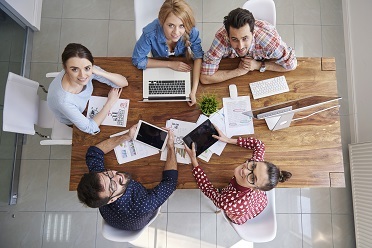 Complete turnkey CE seminar packages—including PowerPoint presentation, marketing materials, seminar handouts, and instructions for providing CE credit—used for targeting professional referral sources! An A to Z Guide that will take you and your staff step-by-step through the procedures and necessary tasks for putting together successful seminars from start to finish! A personal, one-on-one consultation with our Executive Director to either help you improve your seminar marketing or get you started! Variety of articles on marketing your estate planning practice, including seminar marketing. Don't want to give seminars? No problem! Seminars are not for everyone. But, think about it...your one-on-one meetings are essentially seminar presentations, just in front of a smaller audience. You can modify all of the items that come in one of our complete seminar marketing packages and use them in your one-on-one meetings with prospects and clients as visual aids to close them! I held my first seminar using Phil’s seminar marketing materials. I had 65 attendees and 26 appointments made (almost 100% engagement). So far, I am 12 for 12 on engaging the clients that have come in using all of the pointers I received from Phil. I have never had results like this. We’ve already made over $50,000, which is way more than what we invested to attend Phil’s programs and pay for his materials! Kristina, just wanted to say thanks! With your assistance, I booked 9 appointments yesterday, which makes a total of 12 for the 2 day sweep. Of course, I still need to get planning commitments, but the appointments are certainly up from last time. And, I realize that my numbers can and should be even better than that. Fingers are crossed. The crowd was younger this time, we served food earlier, and I really tried to nail the open and close. All this contributed to a better response. Now, I just need to generate some business, so I can continue paying for my marketing. Thanks for the great marketing insights, Phil. 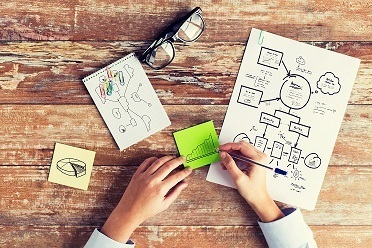 You have some great ideas that I am confident will boost my firm’s revenues! 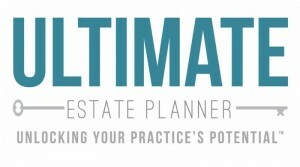 The Ultimate Estate Planner, Inc. is not only a company offering a suite of hard to find products and services, but their customer service philosophy and desire to add value to my practice was so excellent that it is nearly unbelievable! I am a busy guy, and often hard to connect with, but Kristina Schneider kept following up with me to make sure that I got what I needed. I have no doubt that the practice growth techniques that she recommended to me during my Seminar Marketing Consultation will form the foundation of the transition of my practice from a chaotic general practice to a successful and enjoyable estate planning practice that will serve my family well for years to come. Great company, great folks, great job! Phil’s Living Trust Seminar has provided me the tools necessary to get a very high appointment rate, and so far a very high close rate, too! Several attendees have commented that this was the best seminar that they have ever seen! I just held a 3-day seminar sweep using Phil’s IRA Inheritance Trust® Seminar Marketing Package, including the direct mail piece and PowerPoint presentation. I generated 150 people in attendance and 60 appointments for a free consultation and trust review. Based on performance feedback, the reviews were fantastic. Based on my past experience, I look forward to generating 10 times my marketing investment! The Corporate & Group Seminar Training Package is extremely valuable. Before I purchased this, I purchased a system that was geared to develop these types of seminars. It cost almost $2,000 and it consisted mainly off some glossy payroll stuffers and very general (boring) estate planning seminar materials. The flaw in it was that there was no guidance on how to give the seminar, so we did not get any results. Phil’s step-by-step training goes into so much detail on how to actually do these kinds of seminars so that they will actually work. I would have gladly paid Phil $2,000 for this training.